This second generation of reengineered AutoCount Point of Sale (APOS) was successfully launched on 15 August 2009. APOS is specially designed for retailers who are serious about front end operation as well as back end software integration. 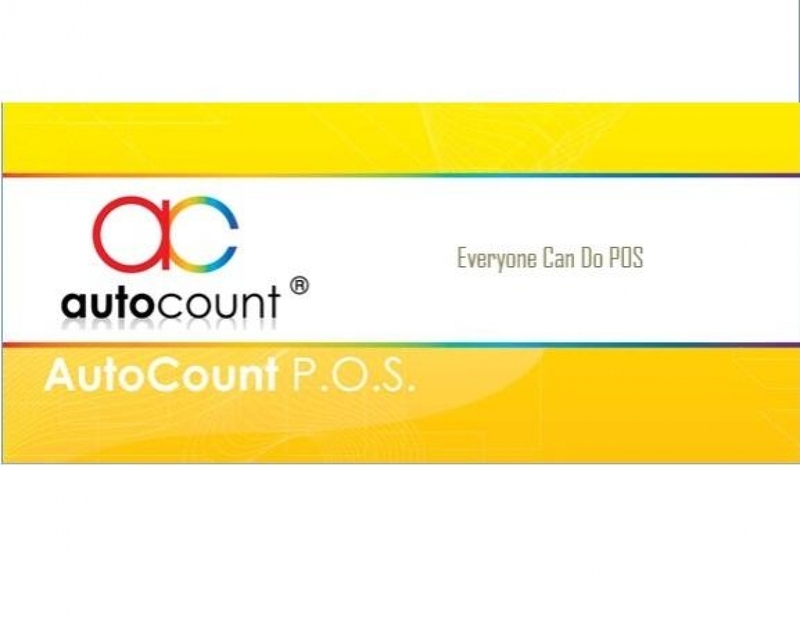 AutoCount provides high-quality total solution at entry-level software pricing. For front end operation, we focus on easy-to-operate powerful features and real time synchronization; for back end integration, we offer the most popular SQL based accounting and inventory software in the region: AutoCount Accounting. With MSC status and Microsoft Certified Partner ISV, Auto Count Sdn Bhd is also the developer of popular AutoCount Accounting. Stability, scalability and security of database. No re-index required. Keeps HQ vital information updated instantly and accurately. Check stock anytime anywhere. With top selling software AutoCount Accounting and Inventory system. Find the fittest package to suit your requirement from front end to back end. Even your future business growth is taken care of. Improve your sales by making right decision from accurate sales analysis and customer buying pattern analysis for multiple outlets. When the stock item level falls below re-order level, you will get alert by notification and by email immediately. Strengthen your business image with character-based printing technique. Cash Sales, Credit Sales, Sales Order with Deposit and multiple payment methods: cash, credit card, debit card, voucher, cheque, and loyalty points. Stand alone or networking, single or multiple outlets, front end operation only or will full back end integration, simple cash sales or complex super heavy transactions. There are always options within your budget. Print your receipts faster without compromised on its printout quality. Character-based printing produces higher quality receipt, the printing is clear, easy to read and low cost. APOS can be operated using whether keyboard, scanner or touch-screen method. These input methods are inter-switchable. Connecting to a customer display LCD monitor not only display Net Total Amount, but also other info such as video clips for advertisement purpose. Full range of AutoCount Accounting packages offers the best option of our flagship product.